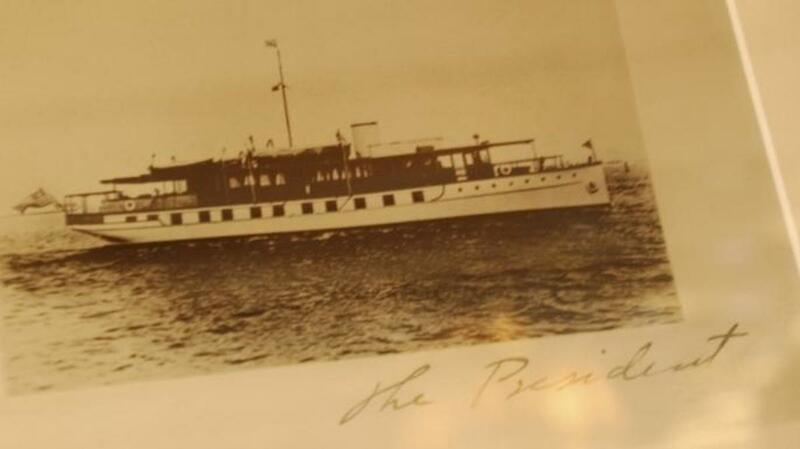 Before there was Air Force One, there was the presidential yacht. 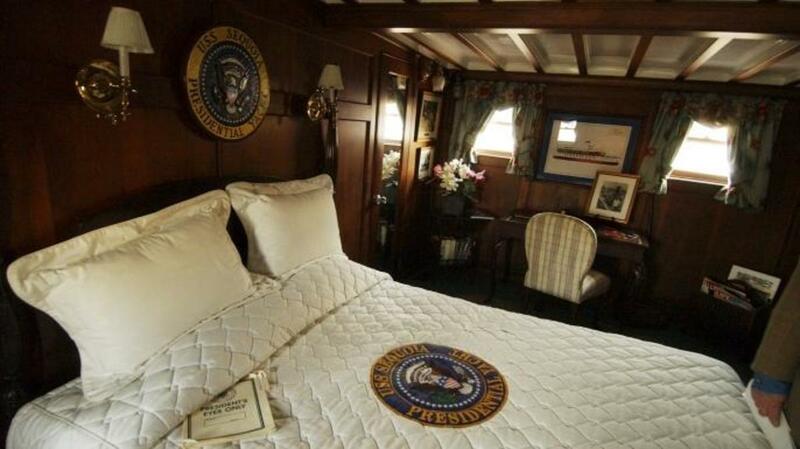 Before there was Air Force One, there was the presidential yacht. 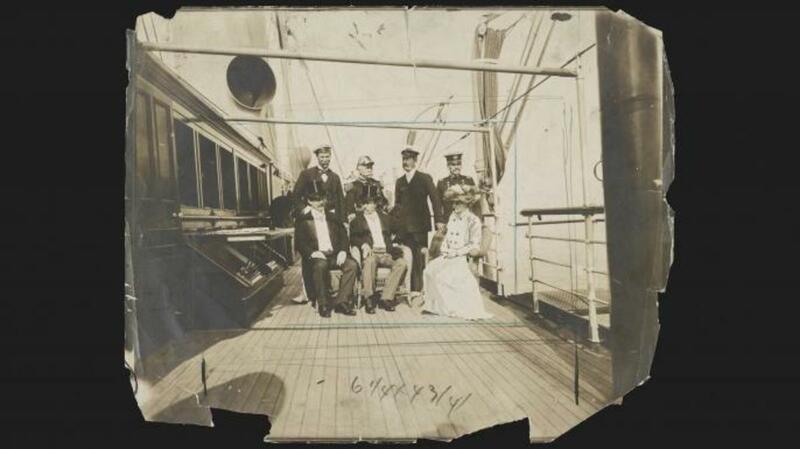 Dating back to the 19th century, America’s chief executives utilized navy ships and other vessels for recreation and entertaining foreign dignitaries. Nearly a dozen different ships acted as the “Floating White House” between 1880 and 1977, when the last vessel was sold at auction. During that time, they were the scene of international diplomatic summits, congressional schmoozing and the occasional Potomac River pleasure cruise. 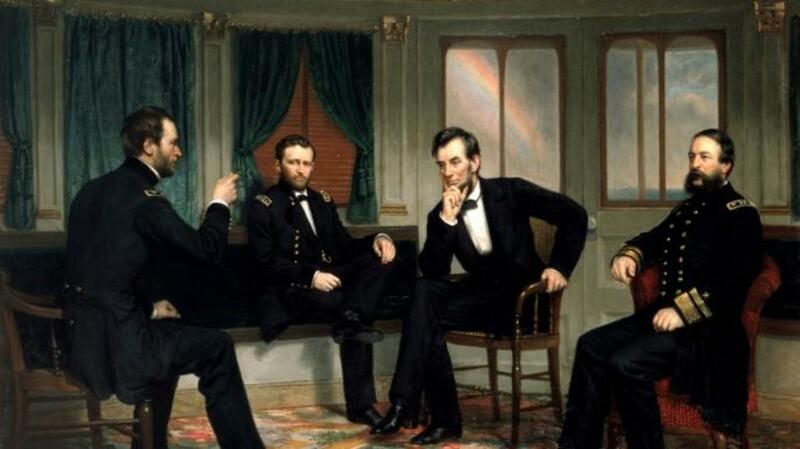 Sherman, Grant, Lincoln, and Porter aboard the River Queen, 1865. Abraham Lincoln made use of a steamboat called the River Queen during the Civil War, but the first official presidential yachts date to the Gilded Age. Starting in 1880, America’s commanders in chief sailed aboard a series of Navy vessels including USS Despatch, USS Dolphin and USS Sylph. In 1886, Despatch famously ferried Grover Cleveland across New York Harbor for the dedication of the Statue of Liberty. Presidential boating entered a new era in the early 1900s, when USS Mayflower took over as the chief executive’s official yacht. Unlike earlier vessels, which were relatively austere in their design, Mayflower was a luxury craft previously owned by real estate millionaire Ogden Goelet. Measuring some 275 feet from stem to stern, it boasted a crew of over 150 and had a sumptuous interior that included a 30-person dining table and bathtubs made from Italian marble. USS Mayflower is most famously associated with Theodore Roosevelt, who often used it and USS Sylph for family vacation cruises along Long Island. A more official use came in August 1905, when Roosevelt hosted Japanese and Russian envoys aboard Mayflower as part of his attempts to mediate peace talks in the Russo-Japanese War. He would later win the Nobel Peace Prize for his role in ending the conflict. 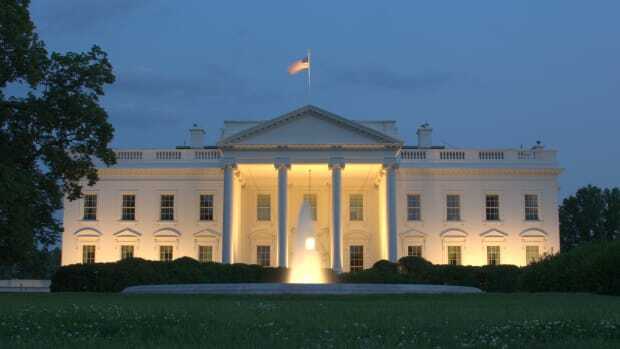 Mayflower served as a presidential plaything for over two decades. Woodrow Wilson is said to have wooed his second wife Edith Bolling Galt during romantic jaunts aboard the ship, and Calvin Coolidge reportedly loved the yacht so much he stationed a Navy chaplain aboard so that he could take Sunday morning cruises without being accused of skipping church. 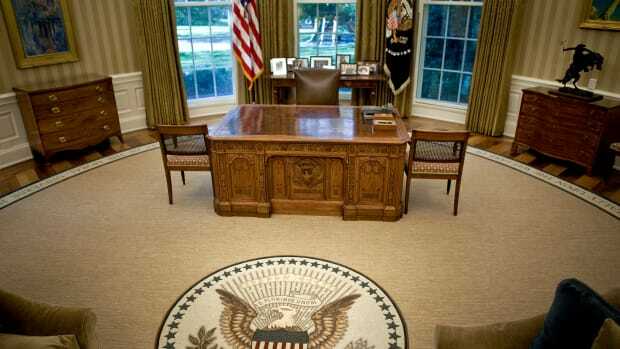 Nevertheless, the ship’s opulence proved to be a sticking point with critics of presidential excess. In 1929, with economic concerns on the rise, Herbert Hoover finally had Mayflower decommissioned. Mayflower was the largest and stateliest of the presidential yachts, but it wasn’t the last. Hoover—a devoted fisherman—soon began making day trips on a wooden-hulled vessel called USS Sequoia, and he eventually grew so attached to it that he had it featured on his 1932 Christmas card. Franklin D. Roosevelt began his tenure with Sequoia, but later switched to USS Potomac, a 165-foot former Coast Guard cutter that included a special elevator to help the wheelchair-bound president move between decks. 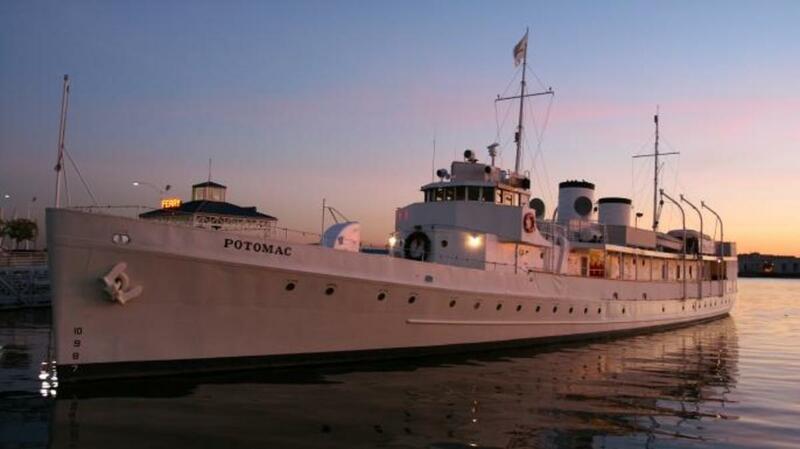 Recreation was also the main role of the presidential yachts during the administration of Harry Truman, who hosted floating poker games aboard Sequoia and the 243-foot USSWilliamsburg. Dwight D. Eisenhower was more of a landlubber than his predecessors, but sea excursions became popular again in the 1960s, when Sequoia resumed its former role as the main presidential yacht. John F. Kennedy—who also utilized a yacht called Honey Fitz and a sailboat called Manitou—celebrated his final birthday with a party aboard Sequoia. Lyndon B. Johnson installed a liquor bar and enjoyed having movies projected on the main deck. 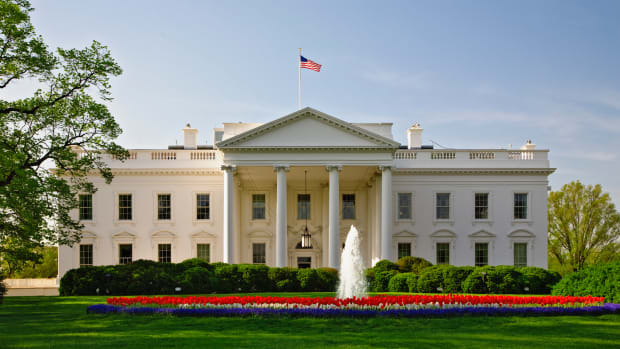 As the longest serving of the executive yachts, Sequoia played host to several chapters in presidential history. The 104-foot vessel was a more humble affair than many of the other yachts, but the seclusion of its elegant, mahogany-paneled saloon made it an ideal location for sensitive political discussions. Harry Truman talked nuclear arms policy aboard the ship with the prime ministers of Britain and Canada. In the mid-1960s, Lyndon Johnson used yacht trips to hash out Vietnam strategy and lobby legislators to support his Great Society domestic reforms. “The Sequoia was a rostrum from which he was trying to persuade congressmen and senators,” former Johnson aide Jack Valenti said. Richard Nixon was undoubtedly the most the enthusiastic user of Sequoia. 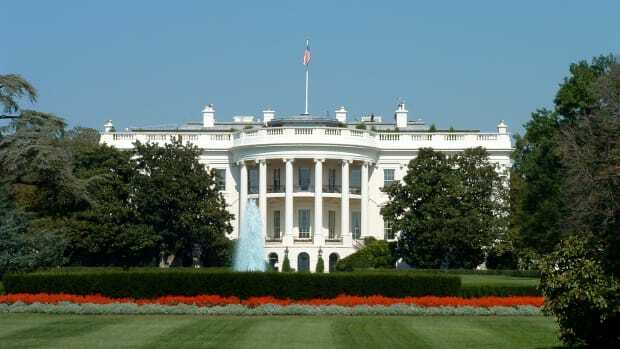 The 37th president reportedly made as many as 100 trips aboard the yacht, including one in which he met with Soviet leader Leonid Brezhnev to negotiate the SALT I nuclear arms agreement. Near the end of his second term, Nixon also used Sequoia as a hideout from the controversies of the Watergate scandal. During one final cruise in August 1974, the embattled president reportedly informed his family of his decision to resign before retiring to the ship’s saloon, quaffing a glass of scotch and playing God Bless America on the piano. The age of the presidential yacht came to a close in 1977. 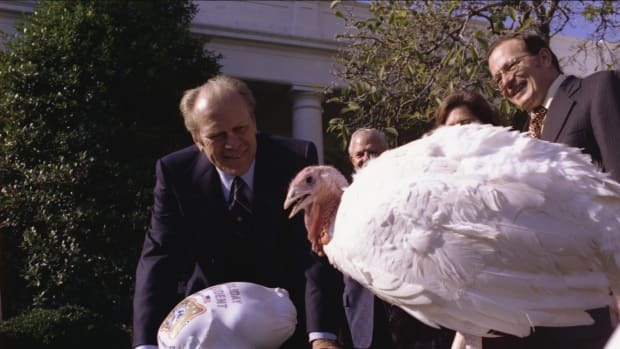 That year, newly inaugurated Jimmy Carter ordered that Sequoia be offloaded in a public sale. Carter later noted that he was disturbed by the yacht’s $250,000 annual upkeep, but he was also following through on a campaign promise to dispense with the extravagance of the presidency. “Despite its distinguished career, I feel that the Presidential yacht Sequoia is no longer needed,” he wrote in a memo to his Secretary of Defense. Today, Sequoia and Potomac are the only two former presidential yachts still in existence. Potomac went through several different owners after its presidential service—including Elvis Presley—and is now moored in Oakland, California. Sequoia, though currently inactive and in a state of disrepair, was once used as a floating museum and private charter boat, and still retains much of its presidential memorabilia. Both vessels are now registered as National Historic Landmarks.